Since we have the USN Parts Sheet up, here's the Russian Parts Sheet done by Golly. All helicopters are depicated at 2 pixels=1 foot? Geeze... What do you Golly? After you finish updating them, restart updating them? 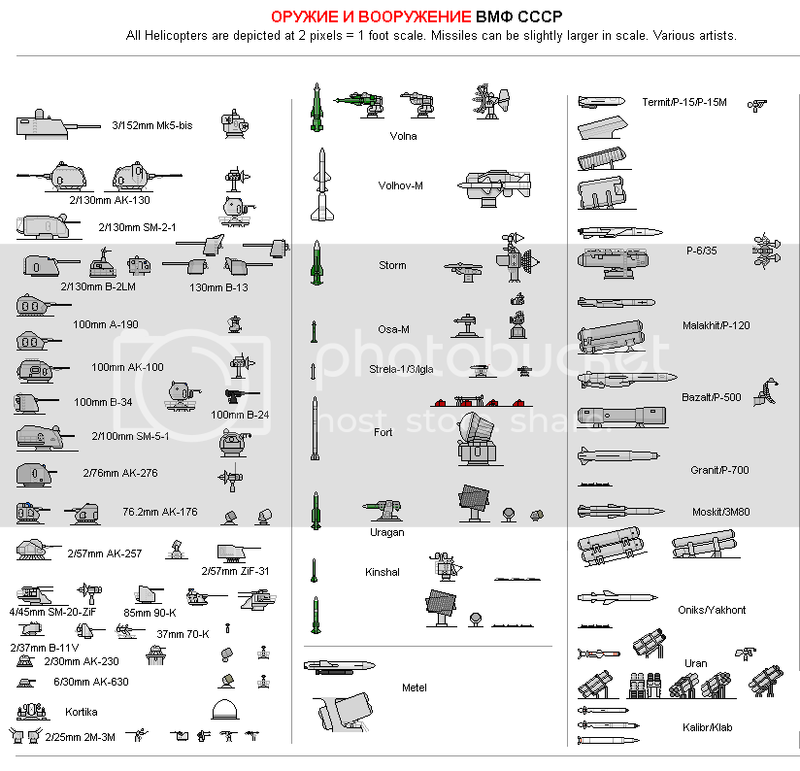 Wait, is there a Russian specific parts sheet somewhere else? Linky please? What about the SS-N-3 Shaddox?I think that should it be in a USSR armament template. Here is another update to the same sheet. NOTE: And yes it does have all the soviet weapon systems (aside ASW) that has been in operative use. NOTE: And no, It doesen't contain any NATO terminology as Im gradually trying to teach people to get ridd of such obsolete ideas. Escuse me guys but why the majority of the missiles are more larger than launchers ?? Someone can clarify that ?